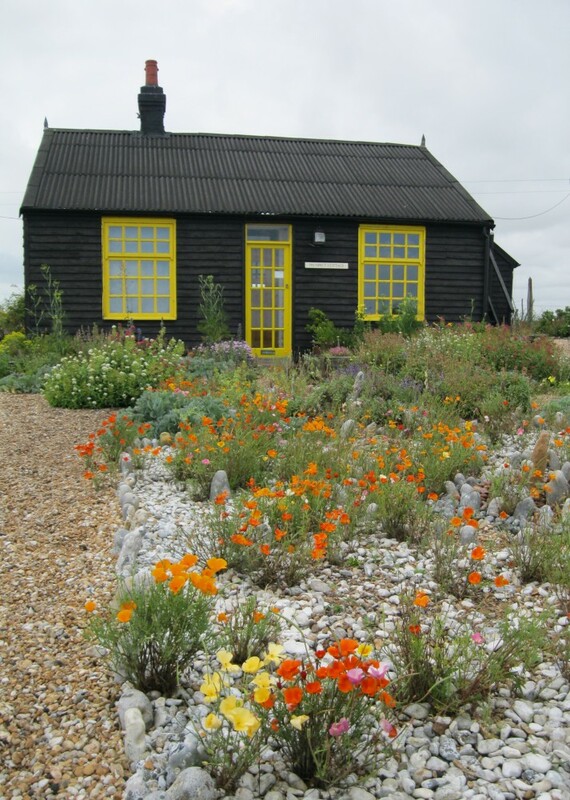 Is Prospect Cottage an important lesson for us all, on how with a fertile imagination and a shoestring budget a garden can be created in the most hostile of environments; or is it just a scattered pile of beach flotsam and jetsam, and a bit of half-hearted planting? I had forgotten how getting to Prospect Cottage felt like travelling to the end of the world. 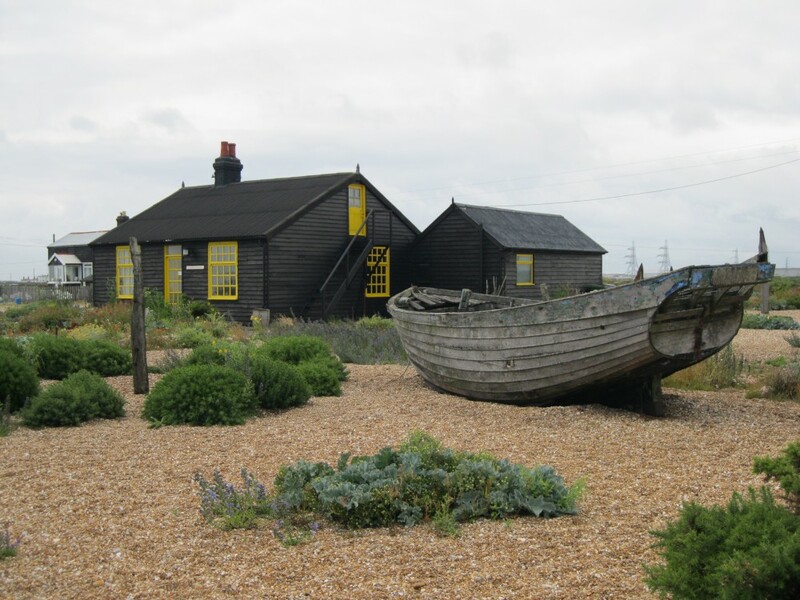 Dungeness is a vast shingle beach with a handful of tarred weatherboard and corrugated iron roofed fishermen’s shacks, abandoned fishermen’s boats, and debris left by the dangerous sea currents, accessed by a long narrow road that leads nowhere. At the end of the beach lie the Dungeness A and B nuclear power stations, a brooding sinister presence with an unnerving hum. 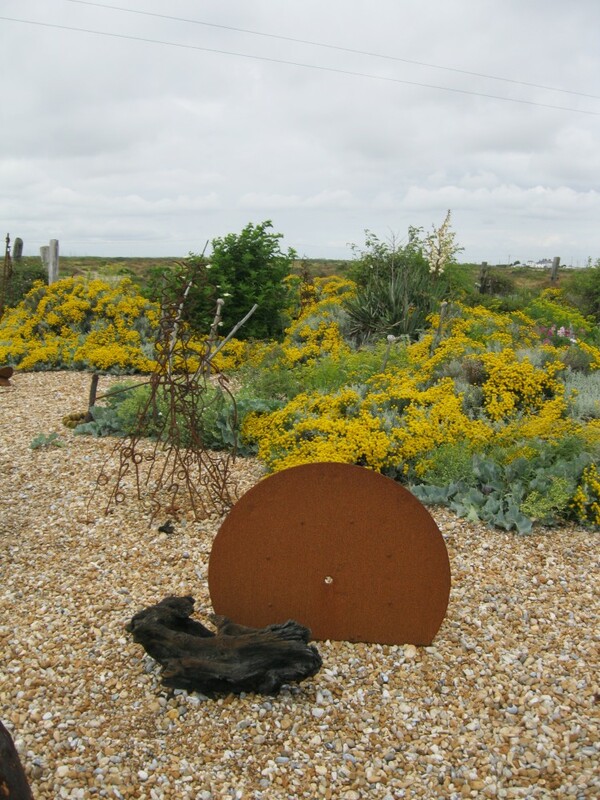 It was Derek Jarman, outspoken gay activist, artist and film producer, who moved here in 1994 creating a garden that defies so many planting conventions, yet it is somewhere I find memorable and even hauntingly beautiful in one the most desolate environments in southern England. 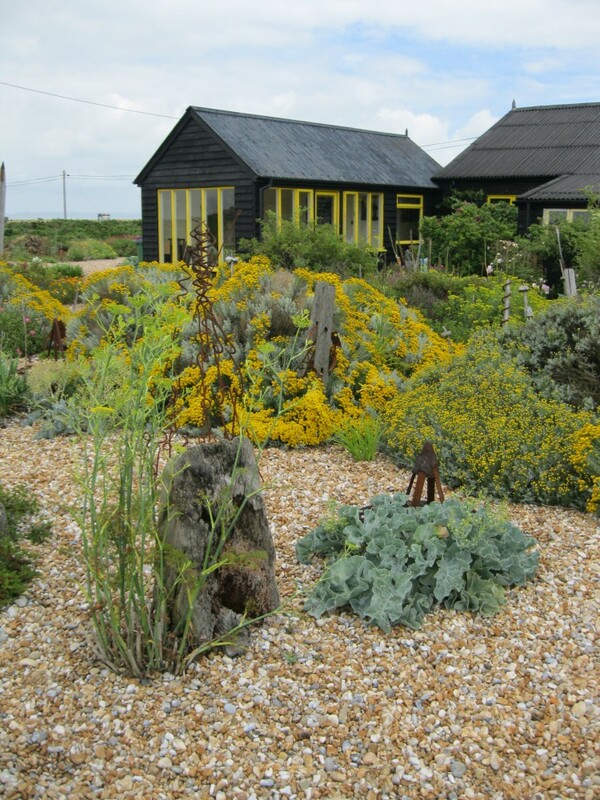 Conventional planting wisdom is that when new gardens are built near the sea, the first thing to do is to establish an evergreen shelter belt, or at the very least, build close-boarded fences to protect from the wind and salt spray, and then to improve the soil. Plants chosen should include varieties from all over the world that will suit the improved soil, and the new micro-climate. 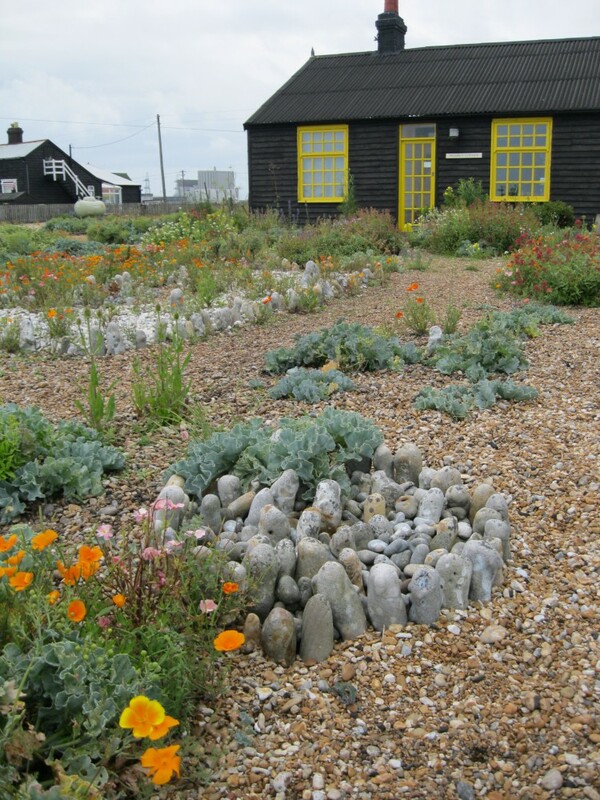 At Prospect Cottage Jarman took a different approach, using those plants found in the vicinity of Dungeness that thrive amongst the salty pebbles with little or no soil and freely seed such as sea kale, bugloss, and everlasting sweet pea. Added to these are a few salt-spray tolerant plants such as lavender, rosemary, santolina and Californian poppies that manage to find sustenance in pockets of thin low-nutrient soil. It is an ecological approach to gardening more in tune with our own time, than the time when it was built. 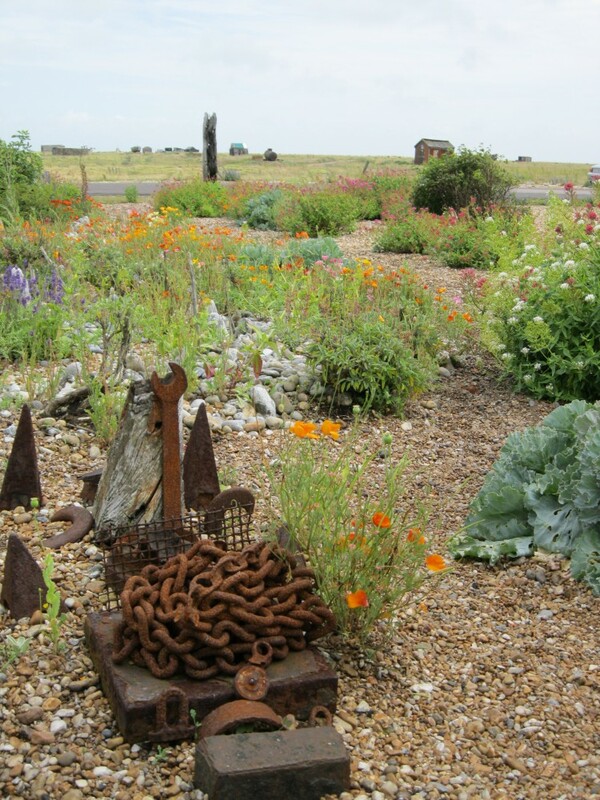 The garden structure is provided by objects washed up or found on the beach arranged with an artist’s eye, such as rusty chain, driftwood, circles of flints, and a redundant fishing boat. On one end of the small cottage, in raised wooden letters, is a poem by John Donne. Living as I did in nearby Rye, it is a garden that I have visited many times, and I am surprised to find that Prospect Cottage is still a garden I admire. It confidently steps outside the mainstream, redefining our terms of reference by creating something of beauty from next to nothing, and proving nature can flourish in the most desolate and inhospitable of places.